Sean Stalling is a professional with twenty two years of successful experience as a coach, teacher, principal and district administrator in elementary and secondary education. 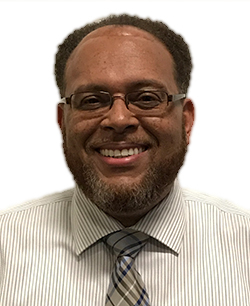 He is experienced in building systems and structures to support leadership development, improvement of instruction, successful student transitions through school as well as improving school options and choice for families in Chicago. Sean Stalling currently works as an administrator with the Archdiocese of Chicago and serves as a consultant in with the Targeted Leadership and the Panasonic Foundation. He last served as the Vice President of Strategic Partnerships with Camelot Education. He specialized in building alternative education options for students in major urban districts. He previously served Chicago Public Schools as the Chief of Schools for the South Side HS Network. He was responsible for leading, supervising and developing the principals for a diverse group of 17 High School in Chicago. He was charged with improving the academic performance and post-secondary success of over 14,000 students in Chicago. Sean Stalling has also served as Chief Area Officer for Area 21, a group of 11 traditional High Schools that spanned across the entire city as well as developed a deep partnership with the University of Chicago. Area 21 led the city of Chicago in overall academic gains in the areas of Freshman-On-Track to Graduation, College Enrollment, and ACT gains. During this time, Area 21 created a laser-like focus on developing smooth transitions for students as they navigated through high school to college as well as improving academic rigor for students through development of strong instructional leadership teams in all schools. This strategy led to improving the overall academic performance for all students and significant growth in College Enrollment and Scholarship acquisition. Overall, Sean Stalling has been responsible for the development of instructional leadership in over 28 schools in Chicago. He believes that through the use of data-driven instruction, high quality culturally competent teaching, and a strong team focused on quality instruction that schools will make sustainable positive changes in the lives of children. He believes that every child will achieve at a high level when adults work collectively and collaboratively for their success. He is the proud father of two beautiful daughters, Taylor, 16 and Clarke, 10.